The University of Dayton and Sinclair Community College have joined forces to provide a new bachelor of science in nursing degree, in order to help meet the four-year credential requirement that more and more health care employers are mandating. The new degree program is designed for students to start their coursework at the University of Dayton in their first year. In the second and third years, students are dually enrolled at Dayton and Sinclair, balancing nursing courses and clinical rotations. At the end of the third year, students will complete their ASN from Sinclair, before moving on to year four at Dayton to complete their BSN. Additionally, after gaining their ASNs, students will be allowed to work as licensed registered nurses through the National Council Licensure Examination. As the nursing shortage continues, more degree program options like the one designed by the University of Dayton and Sinclair Community College are crucial. The Bureau of Labor Statistics is predicting a 15 percent job growth for registered nurses through at least 2026. 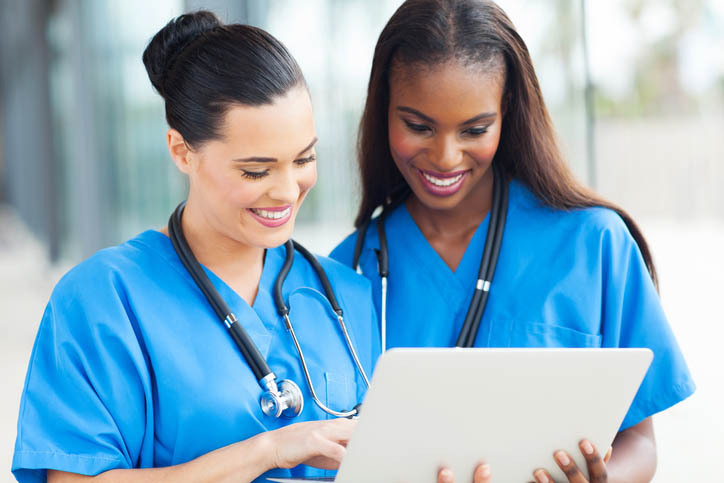 With RNs needed in hospitals, extended care facilities, schools, and other organizations, it is critical to increase more education and certification options for those planning to become nurses. This program is especially helpful for those wanting to pursue a BSN but concerned about costs. Sinclair tuition costs are locked in for years 2 and 3 of the program, and students are locked into a transparent net-tuition plan through the University of Dayton for years 1 and 4. Beyond the financial benefits, students will be able to seek academic help from faculty at both schools. These BSN candidates will also be working alongside UD and Sinclair students in other health science degree programs, providing them with a well-rounded education that will assist them as they begin their RN careers. For more information on this new degree program, visit the University of Dayton’s website. The Ohio University College of Health Sciences and Professions’ School of Nursing is putting virtual reality to use in the classroom. Assistant professor Sherleena Buchman helped create a Narcan simulation during the 2018 spring semester. Since then, the initial video simulation has been transformed into a virtual reality simulation. A 360-degree video was made from cameras surrounding the Narcan simulation, which features two college students discovering a friend experiencing an opioid overdose. Throughout the scene, the students call 911 and work together to help their friend by administering Narcan. Buchman believes that as the simulation becomes more realistic, the students will learn even more than they could in a traditional nursing education setting. Currently, this simulation is only available in the university’s GRID Lab, but Buchman is working to have the simulation eventually available on all smartphones. The simulation will help students learn not only about Narcan and how to administer it, but how to view and think about addiction without a stigma. Currently this simulation is only available for laymen, but Buchman is working on another version specifically for Ohio University’s nursing students that can be used as a teaching tool. She feels excited and grateful about her success with the simulations so far. The University of Cincinnati College of Nursing and UC Health have partnered together to launch a new program for nurses working full-time who want to further their education. The RN to BSN Online Cohort Program will provide free tuition to a select group of UC Health nurses, who will be able to obtain a BSN through the UC College of Nursing over 12 months. To qualify for the free tuition and 12-month program, nurses must be employed at least a year by UC Health and agree to continue working at UC Health for at least two years after completing the program. The UC Health nursing leadership will select students to participate over the next three years. “Nurse leaders will consider an employee’s dedication to UC Health values, mission statement and vision, the recommendations from management and other nurse leadership, employment history with UC Health, work ethic and previous academic achievement,” UC Health communications consultant Elizabeth Bielman told The News Record. The program consists of nine courses and allows students to choose between part-time and full-time, to accommodate their working schedules. Students will take three courses each fall, spring, and summer semester to finish their BSN degree within 12 months. Carol M. Musil has been named interim dean of the Case Western Reserve University (CWRU) Frances Payne Bolton School of Nursing. Musil is taking over for Mary E. Kerr whose term as dean ended in August. Musil is a CWRU alumna and has been a faculty member for many years. She has also served as chair of the university’s faculty senate in the past. Now, she will serve as interim dean of the school of nursing for the 2018-19 academic year. The School of Nursing is expected to begin its search for a new dean in September. In the meantime, the university and nursing faculty are pleased to welcome Musil into the position. To learn more about Carol Musil and her new role as interim dean of the Case Western Reserve University School of Nursing, visit here. Three health sciences colleges at The Ohio State University (OSU) have recently received national recognition for the quality and effectiveness of their diversity and inclusion initiatives. The colleges of medicine, nursing, and veterinary medicine were all recipients of the 2017 Higher Education Excellence in Diversity Award (HEED) and INSIGHT Into Diversity magazine chose to honor the three colleges for their work. The College of Nursing was specially recognized for its Summer Institute for Discovering Nursing, which brings students from a variety of backgrounds together to engage with real-world nurses, current students, and nursing faculty and staff. The college exposes prospective students to real-world nursing skills using patient simulators in its Technology Learning Complex. Having three colleges at the university recognized by INSIGHT Into Diversity is a testament to the university’s diversity and inclusion initiatives. To learn more about the awards presented by INSIGHT Into Diversity, visit here.